"Put Our Experience to Work for You!" We proudly serve real estate needs for Guadalupe County, Comal County, Hays County, and Wilson county including Seguin, TX, New Braunfels, TX, San Marcos, TX and other surrounding areas! We welcome the opportunity to assist with your move, specializing in a variety of properties including: residential, ranch, rural property, resale, farm, waterfront, commerical, acreage, new home, and much more! Our proven home selling program can assist in the marketing of your home, finding the right buyer, and closing the sale with the lowest level of stress. Our years of experience combined with up to date technology allows us to attract buyers within or outside the Seguin Texas area. Whether you are relocating from across town or across the country, we can provide the local knowledge and superior service needed to make your home buying move as smooth as possible. Our real estate family takes great pride in receiving many referrals from thousands of satisfied buyers and sellers who have become good friends in the process. Need expert advice? You can contact us for one-on-one expert help and advice anytime. That's our job. Contact us with confidence! We guarantee your privacy will be respected. And we offer the services on this site for free and without obligation. Why? We want to be YOUR Realtor for life. As your trusted professional Real Estate partners, we will help you find the best homes in your area within your price range. Together we will sell your home or find you the home of your dreams at the best possible price, terms, and conditions as quickly as possible. Buying and selling a home is one of the biggest events in your life. As top Realtors, we have the experience and track record you are looking for. You will find a wealth of useful real estate information for home buyers and sellers at our website! Before you sell or buy a home in Seguin, Texas, view market information found on this website. Our real estate web site is designed to provide you with the latest market information and current home listings for sale in Seguin Texas. Our website features a free real estate search that will allow you to search for home listings in Seguin, TX. Find information on buying or selling your next home. 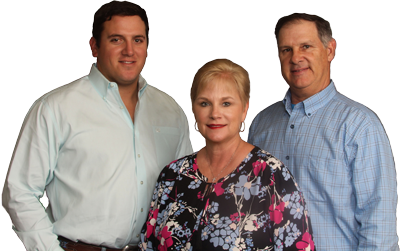 Let an expert Seguin Texas Realtor® help you through the real estate buying or selling process. This is a great area to live! Whether you have an area in mind or are looking for some suggestions, contact us today and we can discuss any question you might have about Seguin TX or any of the surrounding cities! Selling a Seguin TX Home? If you're thinking of selling your home in Seguin Texas, the first thing you should ask is "How much is my home worth?" Being educated on market trends in Texas gives you the best chances of selling your home quickly and for the best price possible. Remember, we also take advantage of the latest technologies to make sure your property has a strong presence on the Internet. For example, if someone is looking for real estate in Seguin TX, or a Realtor, they have a much higher chance of finding this site, and YOUR listing. Contact us today and we will be happy to give you more information about our services to sellers. Buying a Home in Seguin TX? Let us find you the perfect home! We specialize in a variety of properties including: residential, ranch, rural property, resale, lakefront property, new home, farm and ranch, and luxury home and much more! You can find it all on our website. In fact, make your home search easier and become a VIP Buyer. Get immediate information on ALL new listings that match your criteria emailed. As always, if you have any questions about the Texas real estate market, or finding that perfect home here in Seguin, please let us know! Need a Home Loan in Seguin TX? Finding the right financial solution for your real estate transaction can be confusing. It's important for you to know the facts about your mortgage before you buy a house. Making sure that you know how much you can afford and the best rates for your purchase can save you more than money, it can save you time and stress! Read the "Articles" on this site to learn more. Thank you for visiting http://randyrealestate.com - your Seguin Texas Real Estate Information Source! We strive to provide the highest quality of service to all our clients while making each transaction as profitable, professional, successful and stress-free as possible. We understand the importance of professional ethics, integrity and continued education. Call or email us today for information on your next Seguin TX real estate transaction.